Though I have collected a lot of uneasiness towards the credibility of the Globes over the years, I was happy to see a wonderful and unpretentious show like Transparent get the recognition I believe it deserved. This is scripted television at its most moving, taking perfect advantage of the advent of streaming services to be released and enjoyed without the pressure of ratings and vying for popularity on precious primetime slots. Even though Amazon Prime bid its time to really get into the game of television, when they finally decided to approve a few projects, they pushed a beautiful little show that is perfectly tailored to the format, delivering a short season that is less than 5 hours long, but that is just perfect for binge-watching. In fact, when I decided to give the show a try, I watched all ten 1/2 hour episodes in three days from a Friday to a Sunday. I was thrilled that the Golden Globes also gave a great deal of credit to the always underrated Jeffrey Tambor, who excelled in the lead of the show as the ex-husband and father of three young adults that decides, after decades living in the shadows, to come out as a transgender. It is obvious that he, along with the writer and creator, Jill Soloway, crafted something together that is personal, inspirational and true. It is hard not to love a show that deals with such a complicated subject matter in such a tasteful and elegant way. They are not trying to tell a universal story of the transgender, instead they just focused on one single story and how it affects immediate family members, who also happen to have fascinating little side plots. A near-perfect first season that is must-watch television. Give it a try, even the introduction to the show is beautiful. 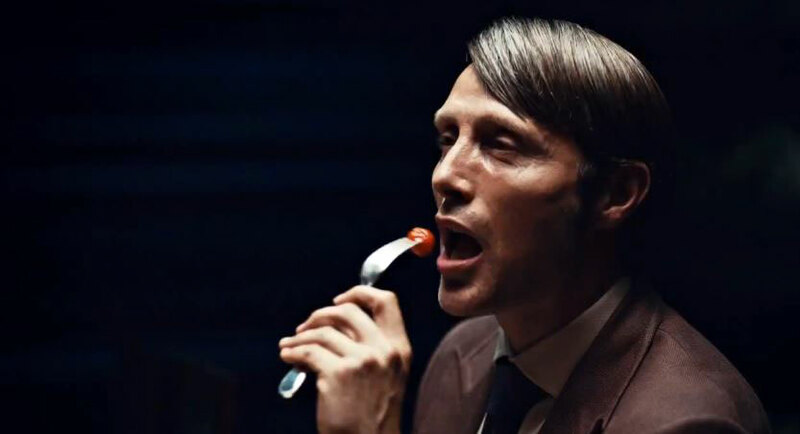 The reimagined story of psychiatrist/serial killer Hannibal Lecter as told by Bryan Fuller continues to be, on its second season, the best thing on network television. Mads Mikkelsen reprises a role he was born to play with the same devilish charm that made me state, sometime last year, that he had far exceeded what Sir Anthony Hopkins managed to do with his most famous role. This is a rare show that is not about violence or solving murders, but about the psychological implications of being a kind-hearted investigator (Hugh Dancy) dealing with gruesome crime scenes and murderers. As one would expect, the show is also fascinated with Dr. Lecter himself, making him irresistibly appealing despite his evil side. Aside the very smart writing of the show, Bryan Fuller also managed to create an atmosphere that is as oppressive and dark as the mind of a killer, but as gorgeously rendered as some of the best work from the likes of David Fincher. If Bryan Fuller’s Hannibal is the best drama on network television, then Game of Thrones has quickly bounced back to the top of the list on cable after a very strong 4th season. In large measure, the success of the series comes at the heels of the aftermath of the now-infamous “Red Wedding” and the rather surprising death of a major character at the beginning of this season. Once again, the headlines were mostly reserved for Peter Dinklage reprising his role as Tyrion Lannister, the intelligent and witty dwarf from Westeros’ most powerful family. More than in previous seasons, this is a show that has been hypnotized by his dazzling performance, which combines charm with wit, anger and emotion. Around Dinklage is an ensemble cast that is easily the strongest in all of television. 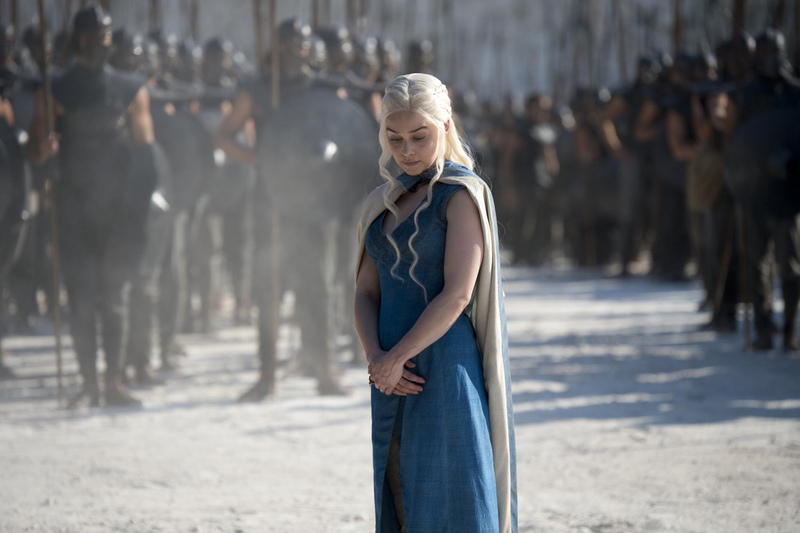 Sadly, new exciting additions have departed already, but veterans of the show like Lena Heady, Charles Dance, Maisie Williams and many others continue to impress with characters that only become more complex as the show moves towards its inexorable finale. Who will win the Game of Thrones? Well, at this point the question remains exciting, but for fans of the show like myself, it is slowly becoming unimportant as the complicated web of deceit continues to grow. After years of avoiding the tons of spoilers that litter the web, I finally began to watch the acclaimed HBO hit, The Sopranos. Perhaps it was my way of getting better acquainted with the great James Gandolfini, but getting to know the Soprano family as a whole was one of the biggest pleasures of 2014. So far, I have watched every season but the last, which I plan on getting to very soon. 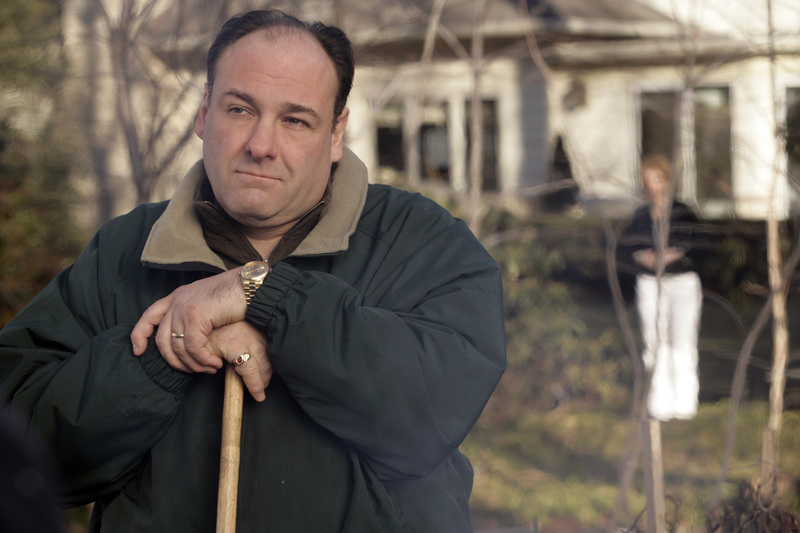 Gandolfini’s rendition of Tony Soprano is, without a doubt, the best thing about a show that is as much a satire as a character study, not just on the lead, but on the lifestyle and of a subculture that still resists to die many moons after the so-called “glory days”. In a year full of great new shows, the CBS show Mom was the only one that, within the framework of a primetime comedy on “America’s most watched network”, managed to get my attention even if it is not always without its share of recycled jokes and cliché. Though the writing leaves some to be desired in terms of maturity and originality, a great deal of the merit for the success of the show must be given to the rapport between the always silly Anna Faris and Allison Janney. Also, credit must be given to a team of writers that despite the occasional misstep, generally manage to deal with difficult subjects with comedy and wit, rarely overdoing it or missing the mark altogether. Even if you dislike the show and everything it represents, at the very least you can’t fault it for not trying to be better than most. Equally surprising, but without the network label to drag around was the quirky and generally insane Broad City. Executively produced by Amy Poehler, this is a show that appeals to a younger and liberal demographic whose kind of humor goes from raunchy and politically incorrect, to downright outrageous and lacking in boundaries. 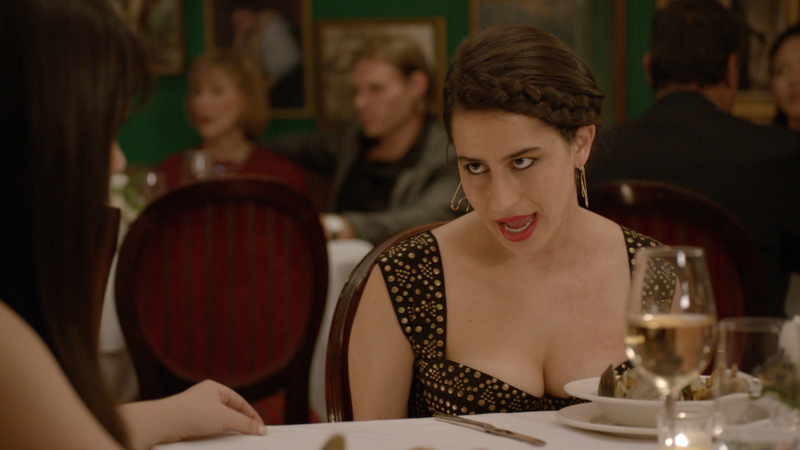 Having said that, Broad City does have some heart, and its characters do manage to evolve ever so slightly, which indicates that it is more than a collection of silly situations involving two best friends living in NYC. Lots of ha-ha humor never hurt nobody and this new show has plenty of that. The decay of shows like The Simpsons, American Dad, Family Guy and South Park, which are currently far from their best, has not translated into the death of animated shows on network television or cable. Over at Cartoon Network, and even on Fox, there are still glimpses of greatness that emanate from animated shows that have managed to stay alive without the kind of strong following that they deserve. Though some may argue with me when it comes to Adventure Time, I feel this is still a show that remains unknown to a lot of people (and maybe should remain so). 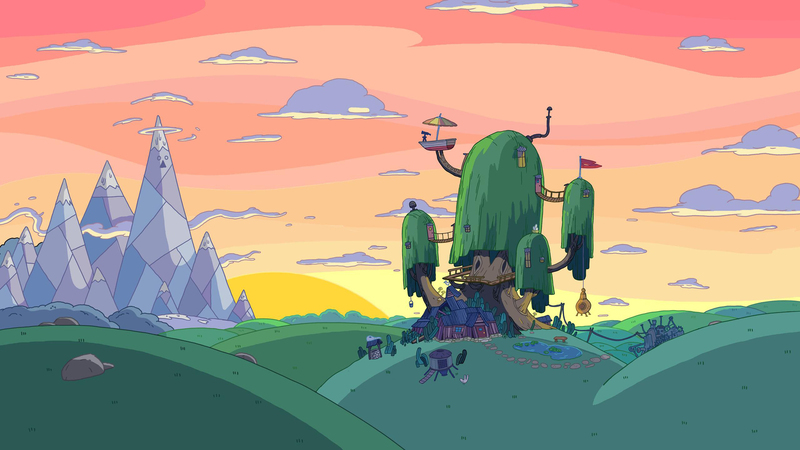 The story of Finn and Jake, two best friends in a dystopian future filled with colorful and insane characters, is easily the most experimental half hour of television there is out there. This is a show supposedly made for children that can also be enjoyed by adults for its inventiveness, silliness and occasional sexual innuendos and pop culture satire. This is the closest an animated show made in North America has come to resemble the unrestrained originality of the Japanese master Hayao Miyazaki. On the other side of things, I hold a special place for Bob’s Burgers, a show that reimagines the American family by making each and every character burst with life, without resorting to the typical quirks and exaggerations of Family Guy or American Dad. Bob’s Burgers does not have any of the snarky brand of comedy, and very little of the overt liberal agenda that can tune out conservative audiences. This is a show that does not take itself too seriously and that is content with delivering well-scripted humor on each single episode. House of Cards (season 2): Another great year for Kevin Spacey and company, albeit the second installment was a bit less successful and intriguing than the first time out. Orange is the New Black (season 2): Another solid season from a group of women at a state’s penitentiary. Once again, I enjoyed season one a bit more and was in fact my favorite new show of 2013. “Crazy Eyes” and the rest of the cast continues to impress. The Killing (seasons 1 through 3): the show can get a bit frustrating due its grueling pace, and overelaborate payoffs, but the build-up to the solving of crimes is a lot more satisfying than in most shows that do not care to deal with the effects of murder and tragedy. Enlightened (seasons 1 and 2): a different kind of show that would be impossible to have on network television. It is ambitious in that it explores the lives of a group of middle aged people that don’t feel important or successful. It can be depressing but also uplifting. A career-best role for Laura Dern, best known for her turn in the first Jurassic Park. I may or may not have time to finish my recap with the videogames I played last year. As always, I welcome all of your comments! Great year of TV! Yet to check out Transparent, but it’s on my radar. Currently giving Mozart in the Jungle a shot – another of Amazon’s TV shows. Though, I don’t know whether it’s just me, but the half hour episode lengths are a bit hard to get into for me. Hannibal is a brilliant bit of TV. I’m always astounded that it’s on a network TV channel. So dark and chilling. Mads Mikkelsen is fantastic. Him and Hugh Dancy play off each other so well. Can’t wait for the third season. If you’re looking for a good animated TV show, check out Rick & Morty. One of the creators is Dan Harmon – it’s a bit oddball and takes a few episodes to get into, but hilarious and more dramatic than you’d think at times. Great animated show. The second season’s coming up this summer. I will definitely check Rick & Morty and I certainly can’t wait for the third season of Hannibal. It’s a refreshing bit of network television in the midst of all the cliche. So cool that you’re going through the Sopranos for the first time. I did that last year as well, and it’s easily one of my top 2-3 favorite shows now. If you’ve managed to avoid hearing specifics about the ending (which I was very fortunate to avoid), you’re in for a treat. It’s really divisive, but I loved it. Probably my favorite ending to any TV series I have seen. Hannibal and Enlightened are on my shortlist of TV shows to start. Great to hear you are a fan of both. I have no idea how it ends Eric. It has definitely been a cool show to follow. I have taken somewhat of a break since November from it before I head onto the second half of the last season. It is one of the few shows to always keep you guessing and defy expectations. 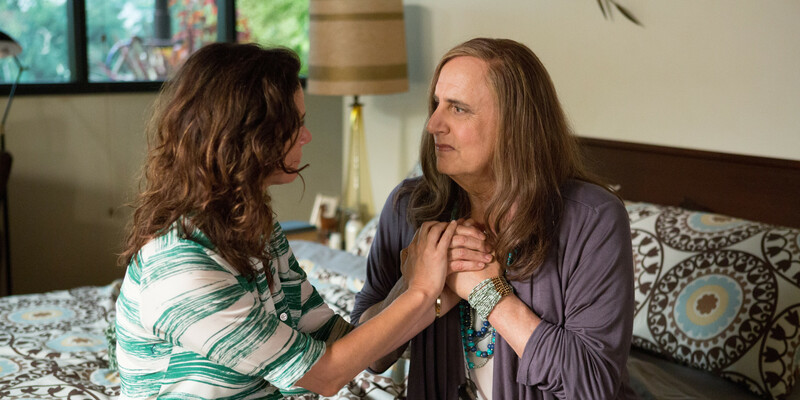 Definitely give Transparent a chance, I’m sure it won’t disappoint. As for Enlightened, it’s likely to be more divisive, but still very interesting.